Kieffer Aachen All Purpose Saddle - Size 1 (17 inch seat). Beautiful condition, short girth points are immaculate. I believe this saddle is supposed to be a medium-wide gullet fit, but I would consider it closer to a medium than a medium-wide. 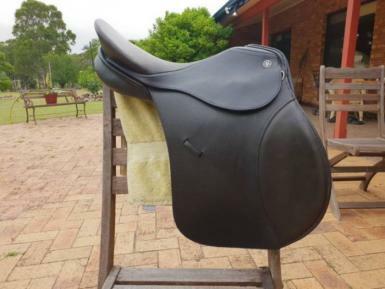 Unsure about adjustability - believe to be possible by a saddler. 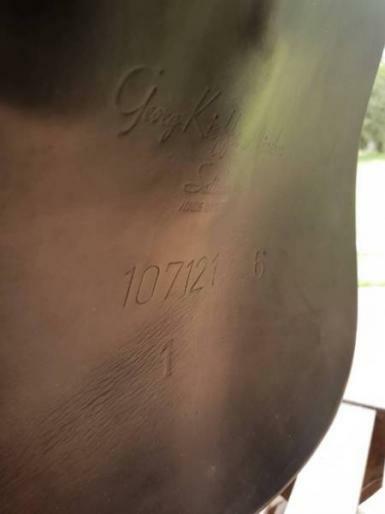 Unsure if saddle is black or brown - photos make it look fairly brown, and it does have a distinct brown hint in bright light, but looks almost black. Some colour fading on seat, but fairly mild. Some very mild marks on cantle, see photos. 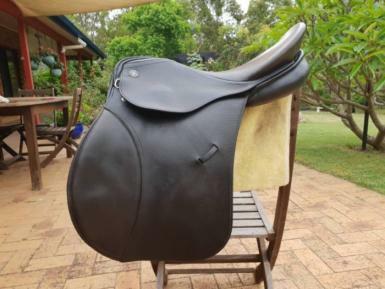 I bought saddle second hand a month or two ago, but realised I'm kidding myself if I think I need an all purpose saddle. I love my dressage, I realise that now. 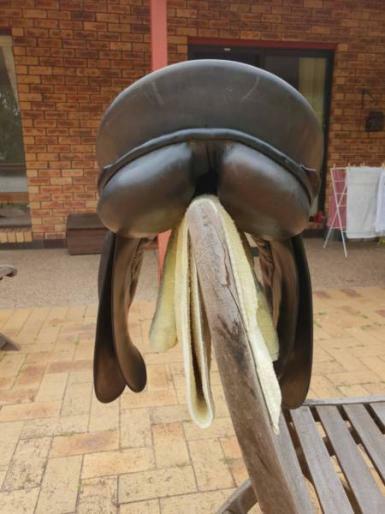 Nice saddle, but selling as I really don't need it. 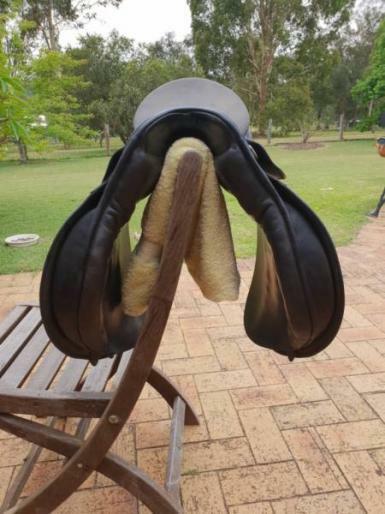 Selling with stirrup irons and dark brown stirrup leathers. Pickup from Duns Creek, will consider posting. My phone is 0457245227, feel free to phone or text (please note that we have fairly poor mobile phone service, but I will do my best to get back to you).